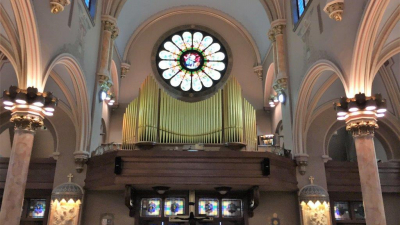 The organ is the king of all instruments and Robert M. Sides is proud of our history in organ installation and service for homes and houses of worship. The finest digital and pipe combination organs are made right here in Pennsylvania by the Allen Organ Company. Allen, the inventors of digital organ technology, provide the entire package of pipe organ sound, premium quality construction and long term support. Allen’s digital expertise and experiences pre-dates other digital organ builders by nearly two decades. Perhaps the best proof of the pipe realism provided by Allen is the ever-growing number of Allen/pipe hybrid instruments throughout the world. Contact us today for a demonstration of one of these wonderful instruments for your own side-by-side comparison of actual pipes and Allen digital sound. Backed by a ten-year parts warranty, Allen Organs require no periodic maintenance or tuning. In the unlikely event that an Allen requires service, it is performed by our factory-trained Allen technicians. These representatives keep a supply of spare parts on hand for quick response to service needs. The modular design of our products ensures quick and easy service, without the necessity for on-site soldering. Every Allen is a beauty to behold! From the smallest to the largest, every Allen organ is made by craftsmen whose pride in their work is obvious. Using only the finest materials and construction techniques, they produce instruments that are built to last over generations. 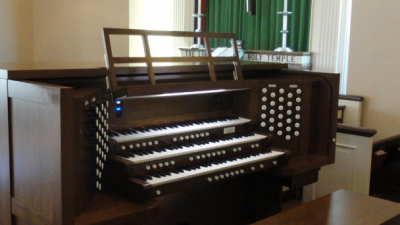 Finally, every Allen Organ is built in Macungie, Pennsylvania, USA in the heart of "Pennsylvania Dutch Country." Utilizing the world's largest organ factory, Allen builds components that other organ manufacturers buy from third parties. This unique in-house manufacturing makes it possible for Allen to offer incomparable quality at competitive prices and also ensures the long-term availability of service parts. 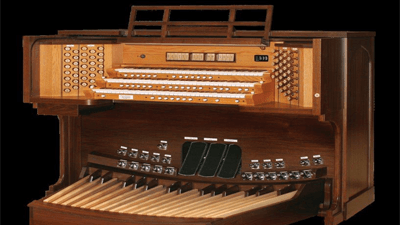 Selecting the right organ console and brand is an important step as there are variables such as the number of keyboards and stops (sounds) or stop tabs versus drawknobs to select your sounds. When it comes to design and installation there are literally dozens of variables from speaker size and placement to how/where to run the wiring. At Robert M. Sides our goal is to provide an installation solution that sounds great in all areas of your space while minimally impacting the aesthetic beauty. Only when the customized installation meets the quality standard of the organ selected does the end product produce great results. In short, our installations look as good as they sound. The same care and expertise that goes into each installation goes into each and every service call provided by our technicians. From older tube-based organs to modern digital organs serviced & controlled by laptop computers, our technical and design staff are on hand to handle repairs both on-site and in our shop. Even if your organ wasn’t purchased from Robert M. Sides we stand ready to serve all makes and models or organs. Robert M. Sides has over 100 new and used home organs in stock. From traditional tube organs like the classic Hammonds to more modern organs from Lowrey, Baldwin, Roland, Technics, Kimball and Wurlitzer starting at just $150 for spinet models. With trade-up programs you can rest assured that the organ you buy today can be upgraded anytime as your playing progresses. Click Here to fill out our repair form. We'll give you a call to set up an appointment! 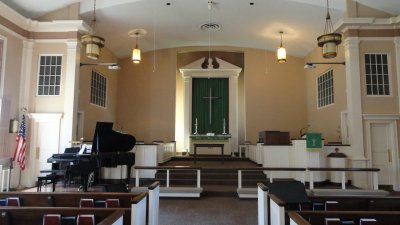 Robert M. Sides is proud to have done the installation in this beautiful local church! We are also proud to continue to service this church's organ to keep it in the best condition possible. 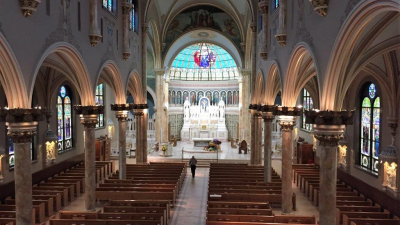 The beautiful custom Allen Organ at Visitation of the Blessed Virgin Mary Church is one of the largest organ installation we have done, and the sound from the organ is breathtaking! It is a 64 Rank Allen Custom Digital Pipe Organ. 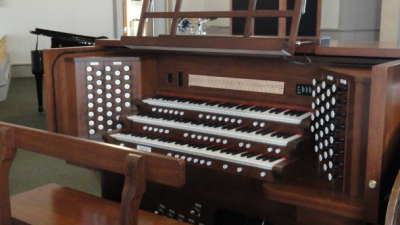 Click Here to listen to a playlist of samples for this organ!